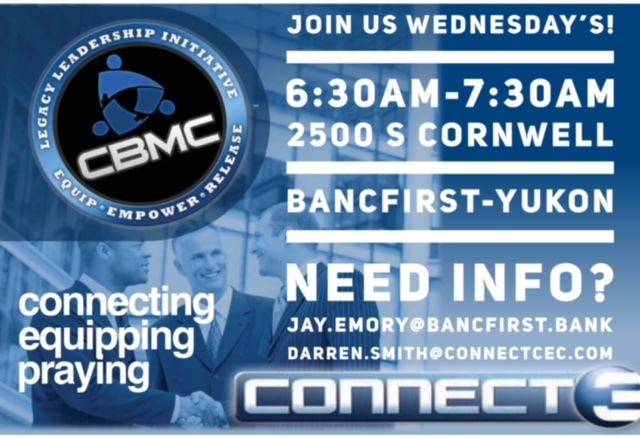 Our men's group will meet tomorrow (Wednesday) morning at 6:30am in BancFirst lobby located at 2500 S Cornwell, Yukon. Try to make it and consider inviting a guest. 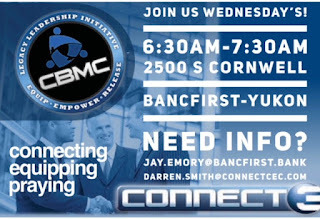 Steve Jensen will be leading us this week. You guys doing alright after a nice long weekend? It always seems (even) on a 4 day work week – that it's a reallllly long week! Regardless, here we go..head on and full steam ahead! Over the weekend I (again) ran through an Oswald devotion that hit me square in my eyes…they all do! His statement was this: "God's purpose is not simply to make us beautiful, plump grapes, but to make us grapes so that He may squeeze the sweetness out of us. Our spiritual life cannot be measured by success as the world measures it, but only by what God pours through us— and we cannot measure that at all." These attributes and biblical principles we strive to hold up, live out and understand in our lives are not just for us…but, in fact, are to be "squeezed out" of us and literally drip all over the people we come into contact with daily. Not to sound strange – but what do you ooze out every day (being poured through you)? : Political discontent? General whiney-ness about every little thing? Or is it: a voice of reason?, love/compassion?, generosity? This devotion made me think long and hard.. Here is the DEVO.